Jamie McMurray, driver of the #1 McDonald's Trick. Treat. Win! 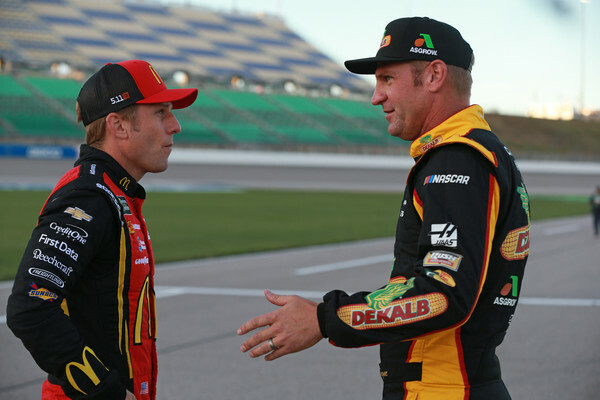 Chevrolet, talks with Clint Bowyer, driver of the #14 Dekalb Ford, during qualifying for the Monster Energy NASCAR Cup Series Hollywood Casino 400 at Kansas Speedway on October 19, 2018 in Kansas City, Kansas.